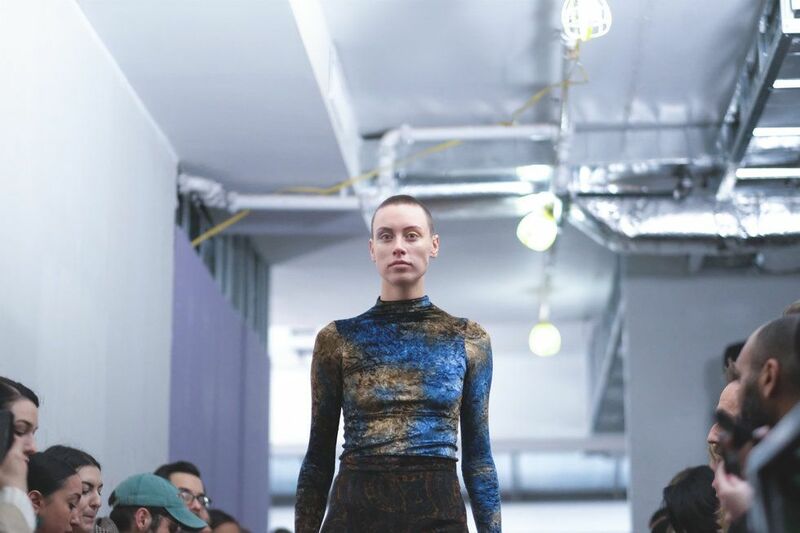 Designer Hillary Taymour opened up her fall 2019 show for Collina Strada with a poetic monologue by the indigenous environmental activist Xiuhtezcatl Martinez. As Martinez spoke about his own work and the massive impacts thinking about the environment (especially as it relates to fashion) can have, models walked the runway sporting the most sustainable collection from the brand to date. Guests were given a handout on simple ways to create change, ranging from using reusable shopping bags to eating a plant-based diet. Here's everything else you need to know about the show. The collection was made of 75% deadstock fabrics and recycled ocean plastic beads. 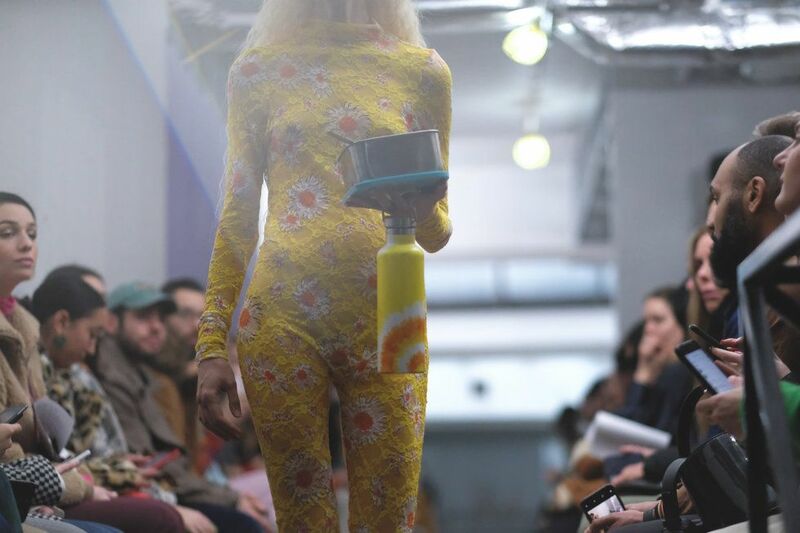 Taking sustainability to heart, Taymour accessorized the models with water bottles and tupperware. Some took bites of salad as they walked down the runway. 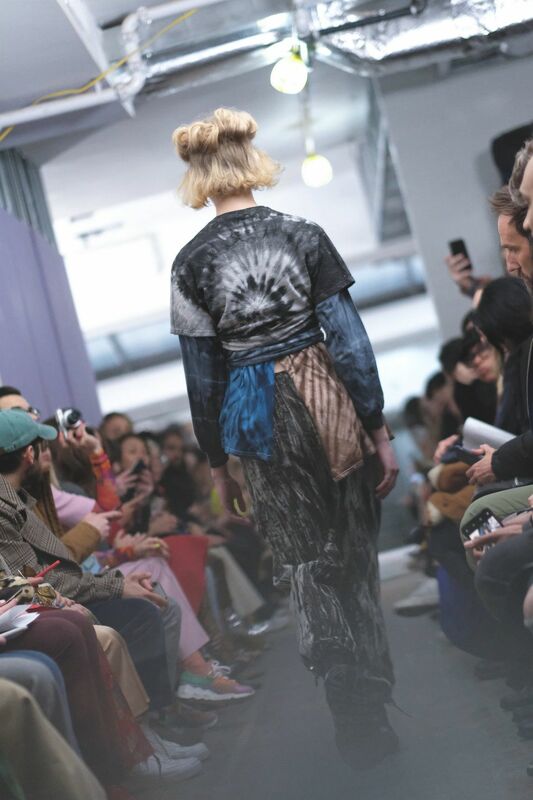 Collina Strada has frequently used tie dye in her previous collections and this season, Taymour brought it back in the form of sweatshirts, t-shirts and leggings, mostly in neutral, earthy hues; aside from one bright tee styled with blush satin pants. With tie dye's hippie roots, these pieces felt intrinsic to such an eco-friendly collection. 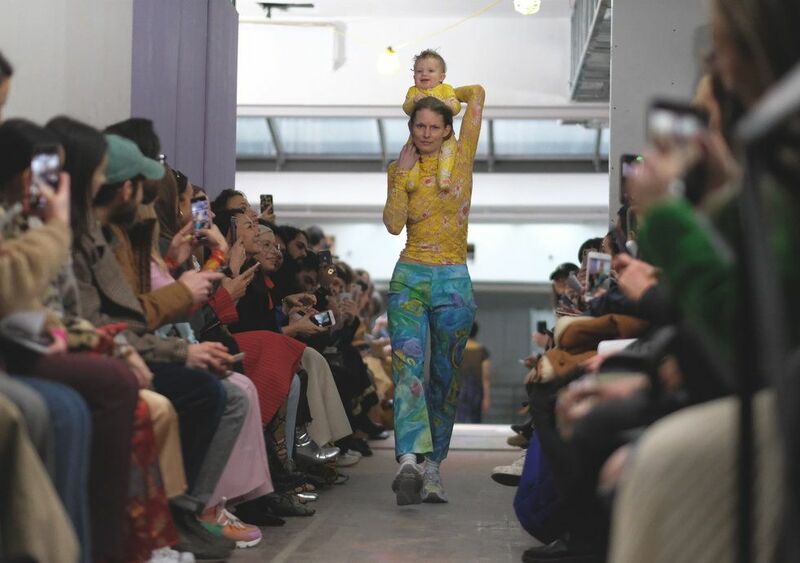 When one model marched down the catwalk carrying a baby on her shoulders, nearly everyone in the room was smiling. The two were wearing matching outfits made of bright yellow deadstock daisy lace, and the moment also alluded to the idea that you can really support eco-friendly fashion at any age. The standout look was a gorgeous blush tiered gown, which closed the show. The beading on the upper portion was rendered from a whopping 77 pounds of ocean plastic. For the brand, this wasn't just a one time dabble in sustainability, and that's what made it even more interesting. 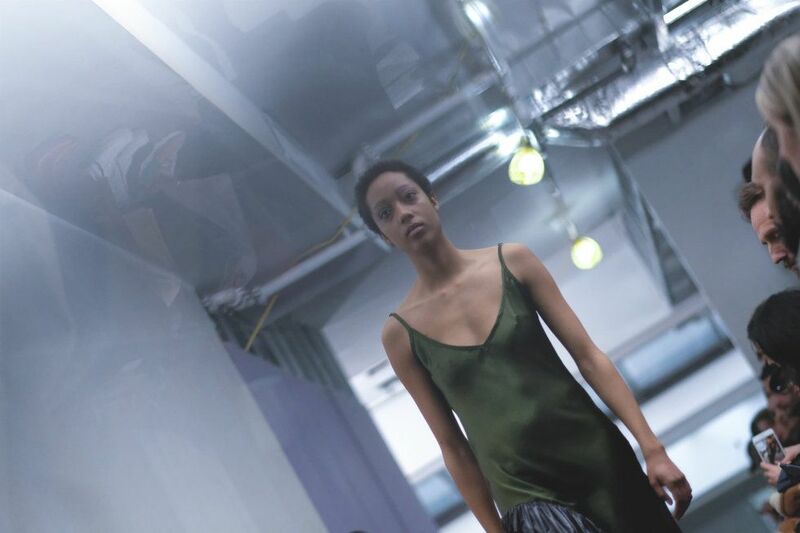 Guests were given a list of the changes Collina Strada will make this year, including using 75% deadstock fabric in ready-to-wear pieces, switching to biodegradable or recycled packaging, hosting clothing swaps, donating to charities and manufacturing in the U.S.